Last year, Niantic tested out a new invite-only gym raid called the EX Raid. 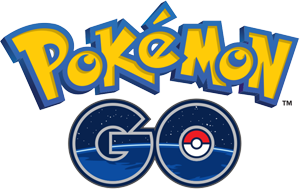 It was created to be a reward to the most active Pokémon Go players, allowing them a chance to defeat and capture a Mewtwo. Since its implementation several weeks ago, it hasn’t exactly been smooth sailing. However, the last few days have been the worst yet, causing much confusion and frustration in the Pokémon Go community. The main reason that players have been up in arms this week is due to the latest batch of invites, most of which, seem to be sending PGoers to locations they’ve never raided at or places they haven’t visited in many months. For example, my husband was sent an invite an hour away from our home, where he participated in a raid, one time with some friends. I, personally, received an invite on the other side of the state (5 hours away), where my husband and I took part in a gym raid when visiting family over the holidays. On top of the mismatch of locations, is the fact that many areas, including our county which has a huge group of very active players, hasn’t seen a single EX Raid since the test phase. In response to the chaotic invite locales and PGoer complaints, Niantic has released a statement explaining why this happened, what safeguards they’re putting into place for the future, and how the invitation process will soon be changing. So, first of all, why did this happen? Niantic explains that it was a bug which was introduced when they implemented some changes to improve the Trainer and Gym selection process. They’ve reassured the problem has been dealt with and that future invites will reflect their newest updates, sans the bug. What type of safeguards have they implemented? Niantic didn’t really go into great detail about safeguards as most are probably pretty technical to explain. They simply stated that invitations will now only be sent to Trainers who’ve recently completed a Raid Battle at a specific EX Raid gym location. How will the invitation process change in the future? It appears that the invites/raids for this upcoming weekend will happen as planned. The changes that Niantic has announced will affect all EX Raids afterwards. Wonder Boy: The Dragon’s Trap will be Hitting Store Shelves on February 13th!